Team folders and shared folders are at the heart of how people collaborate with Dropbox, so we encourage you to familiarize yourself with how they work. Team folder sharing policies are set by the admin and are outlined below. End users cannot change the settings in team folders. Shared folders can be managed by end users, so they can rapidly spin up projects based on the overarching sharing policy defined by their admin. 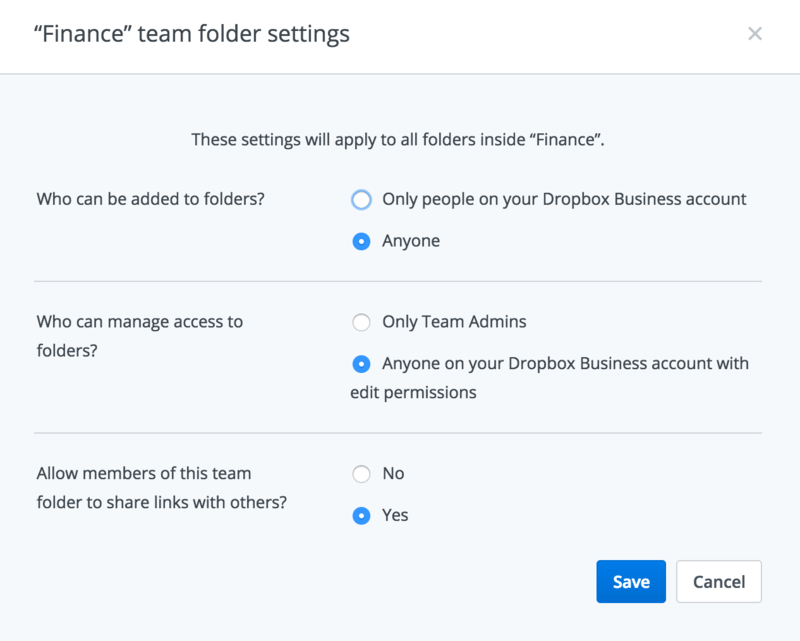 This article is meant to give you a quick overview of how team folder permissions work in Dropbox Business, but if you want to learn more about shared folders, make sure to read the Collaborate with shared folders article in the Dropbox Business User Guide. Team folders allow you to easily create managed spaces for your Dropbox Business groups. With these managed folders, you can manage the policies based on the group and the content the team works with. For example, you may choose to enable external sharing on the Marketing team folder, so members of the marketing team can work with outside agencies. Other team folders that contain sensitive information, e.g. the HR team folder, can be set to internal only. Anyone on your team can create a shared folder. They’re created by sending invitations to a Dropbox user’s email address. Once a user accepts the invitation, the shared folder appears inside their Dropbox folder and its contents automatically sync to their linked computers and mobile devices. Admins, like any member of a Dropbox Business team, can only access folders to which they’ve been invited. Owner can change view/edit permissions, invite additional people, and transfer ownership to someone else. This is the default role for whoever initially shares a folder. Editor can add/edit/delete files in the folder just like an owner. If the owner allows it, editors can also invite people to the folder, remove other members from the folder, and change the roles of other members. Editor is the default setting for the people you invite. 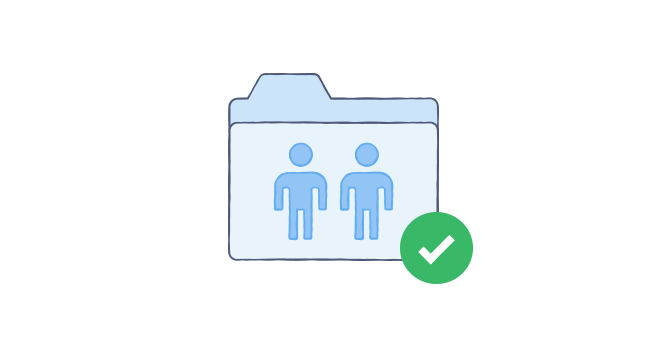 For more information about shared folders, make sure to read the Collaborate with shared folders section of our Dropbox Business User Guide. If you’d like to learn more about team folders, check out the Team folders section of our Dropbox Business User Guide. What roles and permissions can members of a shared folder have?